Yuzu - is it worth it? Everything Japanese is a trend - not only 2018 but already a couple of decades. First of all it was just sushi (sashimi etc). Then tempura. Then yakitori. Then Wagyu (and Kobe - for the rich). Then Japanese Whiskies. It seems that the trends from this country never stop to hit mainstream. Part of this “trending” are also Japanese ingredients. Again - wasabi was first - over togarashi (and a lot of other stuff) - lately to yuzukosho. And I have seen lately quite a lot of cocktails, which use yuzu. 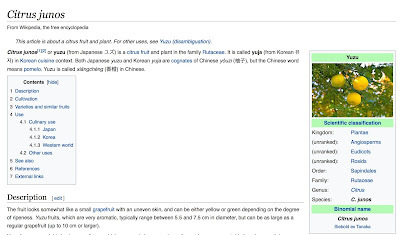 In short: this is a citrus fruit (hybrid), which growth and is used predominantly in Japan. Now - if you know me, you already anticipate, that I am a sucker for unique fruits - and yuzu is not an exception. Food which uses yuzu is quite unique. But here is the issue: there is no point, to buy yuzu fresh (at least not here in the Middle-East). You simply can’t (well - not for a reasonable price - if you don’t need your second kidney, it is your business). The usual alternative is pasteurized yuzu juice. And this is, where “my” problem starts - while it is probably nicer than pasteurize lemon juice, it still is astringent and outright nasty. For sure, you can find some nice yuzu flavors through the nastiness - but let’s face it: pasteurized citrus juices are not what we usually connect with a quality drink! You could also use other products: like yuzu marmelade, which brings in yuzu-aromas without nastiness (yuzu is like few other citrus a quite “dry” citrus fruit - and its peel mostly used). So my verdict: yuzu juice is not worth it. It actually is pretty horrible- and doesn’t really make a cocktail great. Use instead preserved products out of the yuzu peel, which can add the unique Japanese aroma, without destroying your drink. Prost!